Two Shall Enter, One Shall Leave a.k.a. the 5th and Final Round of Summer Madness! We're now into the fifth and final round of our Summer Madness blockbuster reads online bracket game! 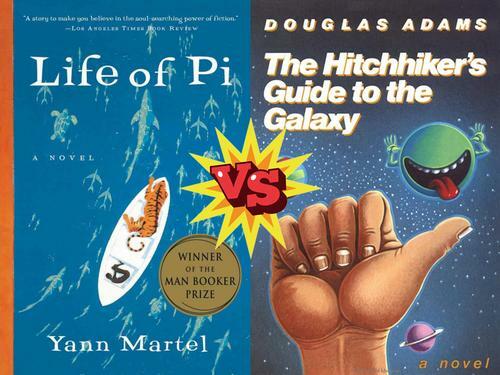 Amongst 32 titles vying for the prize, our finalists Life of Pi and The Hitchhiker's Guide to the Galaxy rose to the top of the pack to go head-to-head in this final matchup. 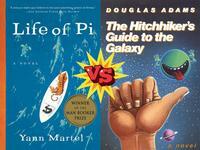 Only YOU can decide who will be declared the literary champ! 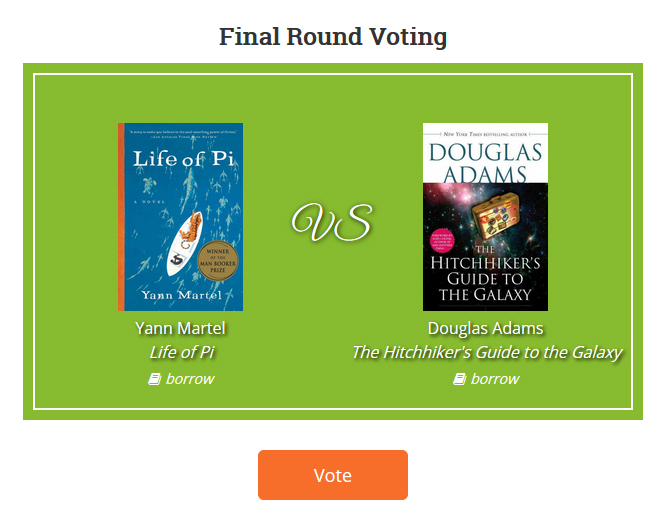 Just click on the image of the book you think should win in this week's championship match and then click the vote button at the bottom of the page. We'll tally all of the votes and announce the winner next week! Only YOU can decide who will be declared the literary champ in our Summer Madness online bracket game!! Add a Comment to Two Shall Enter, One Shall Leave a.k.a. the 5th and Final Round of Summer Madness!